Justice Minister Wijeyadasa Rajapakshe, PC, yesterday said that Mrs Dilrukshi Dias Wickramasinghe, Director General of the Commission to Investigate Allegations of Bribery or Corruption (CIABOC) wouldn’t be removed. The Justice Minister was responding to a group of 116 Opposition members recently seeking Speaker Chamal Rajapaksa’s intervention to get rid of the top official. Responding to a query, MP Rajapakshe emphasized that the Speaker couldn’t interfere with the DG or any other official of the CIABOC. The minister alleged that seeking Speaker’s intervention was nothing but a propaganda gimmick meant to deceive the public. The Minister said that the Opposition couldn’t derail ongoing investigations, including the sensational accusation that the then President Mahinda Rajapaksa bribed the then UNP General Secretary Tissa Attanayake with the health portfolio in the run-up to the Jan.8 presidential poll. President Maithripala Sirisena replaced Ganesh R. Dharmawardena with Additional Solicitor General Mrs Wickramasinghe in early February. In a letter to Speaker Rajapaksa, the group of Opposition members accused Mrs. Wickramasinghe of abusing powers of the CIABOC Act et al. The Opposition disputed Mrs. Wickramasinghe’s right to record a statement from former President Rajapaksa without consulting her colleagues. The Justice Minister said that the appointment of the DG, CIABOC was a matter for the President. MP Rajapakshe said that he moved the CIABOC four days after MP Attanayake accepted the health ministry portfolio. The MP said that the announcement of Attanayake’s move had coincided with the then President signing his nomination papers on Dec 8, 2015 at Temple Trees. Responding to a query, MP Rajapakshe said that a news alert issued by a certain media organization as well as MP Attanayake’s first briefing after he switched his allegiance to the former President proved the relationship between the two parties. 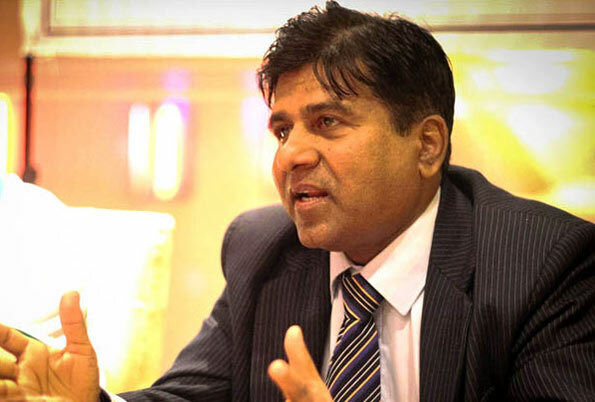 In addition to the then MP Rajapakshe’s complaint, the CIABOC has received one or two other complaints, with at least one party accusing the former president of bribing MP Attanayake. MP Rajapakshe challenged those critical of the conduct of Mrs Wickramasinghe to examine the performance of the CIABOC before she succeeded Dharmawardena. The Justice Minister said that there had been a large number of files held by the CIABOC without any action being taken during Dharmawardena’s tenure as the DG. There had been some instances when the recommendations made by investigators were ignored, though the CIABOC could have proceeded, he said. Justice Minister emphasized that the government wouldn’t interfere with investigations undertaken by the CIABOC.